Inspired by today's entry in 30 Days of Prayer, but with a UK twist! We have been looking at symbols all through these 30 days of prayer during Ramadan. When visiting the Armenian quarter in Jerusalem a saw a tile of a church, a synagogue and a mosque next to each other. It became a symbol of hope for me. I also came across the word ‘coexist’, replacing the C, X and T with a crescent, a star of David and a cross. At the time I had a deep concern about how the Abrahamic faiths could stop attacking and killing each other. So many wars seemed to have religious dimensions to them. One way to ‘coexist’ is to create mutual understanding by reading and reflecting on our sacred texts together. Various ways of reading our Scriptures together and building relationship through the stories of the Bible and Qur’an. 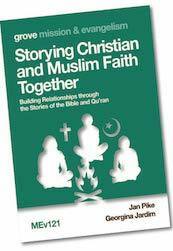 Get hold of a copy of the new Grove booklet on storying Christian and Muslim faith together. Check out if there are any groups mentioned above near you. Let us know how it went! Leave a comment below, or tag us on social media with the #lovefast hashtag on social media. You can find us on Facebook and Twitter! The story today in the prayer guide illustrates the importance of bread in Middle Eastern culture. The Arabic for bread aish literally means life. Of course the image of bread is also important to us as Jesus followers. He told us to pray for our daily bread and spoke of himself as being the bread of life. At the last supper he used bread as the ultimate symbol when he spoke of his body, broken and shared, given for the life of the world. As Muslim friends and neighbours are going without food (bread) and spending more time in praying and reflecting on God, how might we offer spiritual bread? What words of life could we share that will speak to those who are spiritually hungry? Thank you Lord for your love, mercy and compassion; that your heart is to see many Muslims come into your kingdom. We pray that many will hunger for the one who gives life, and find you, the Bread of Life, who truly satisfies. Choose a story about Jesus meeting a need (from the Gospels or a personal testimony) and plan how you would tell it to a Muslim friend. Pray for the opportunity, and be ready, to tell it. I once came across a tract entitled “Religion is not enough”. I discovered that it was written by a young British-born man of Bangladeshi heritage. Today the 30Days booklet focuses on his people, the Sylhetis. What the text does not say is that the vast majority of Bangladeshis living in the UK are Sylhetis. They run many of our curry houses. You may have met some. So far very few have come to Christ in the UK despite the efforts of some workers in a few locations. The tract told how he came to Christ. I later got to meet him and heard more about how he grew up in on a street where English was rarely heard. He almost no contact with Christians, but someone had made the effort to connect with his community. With greater use of English, the opportunities to share God’s love are increasing. A Sylheti Scripture App is now available for free download on Google Play! Please promote and distribute among your Sylheti contacts as widely as possible. I once visited a mosque towards the end of Ramadan. Inside the mosque were individual sleeping compartments separated out by white cloths, like the inner lining of a tent. Some Muslims would spend all ten nights here, without any contact with the outside world by mobile phone or any other way. They come here simply to pray and read the Quran. Such devotion! During one of the night’s of the last ten days of Ramadan Muslims believe that the blessings and mercy of God are abundant, sins are forgiven, visions and dreams are given and supplications are accepted. This night is called ‘Laylat al-Qadr’ variously known in English as the Night of Power, Night of Decree, Night of Value, Night of Destiny, or Night of Measures. While not all will be resident in the mosque at this time, many will attend extra prayers and Quranic readings and hope for blessing. As Muslims seek blessing from God during the last ten nights of Ramadan, let’s pray they would have encounters with the true and living God. Why not take some of this evening to pray for Muslims to have encounters with the living God. You might like to use this Night of Power prayer resource. There’s something special about a Moroccan welcome, especially a Berber one. It’s a traveller’s welcome - often after a long, tiring journey, when the hope and excitement of the day is waning into the evening. Lots of tea, honey, pancake-like treats, and lashings of sugar in every direction! I remember the same warmth being true when I stumbled across a Moroccan shop in the UK - in Oxford, an academic capital and a world away in terms of culture! Sometimes we feel we are only worthy to put on a welcome or have people into our home unless everything is pristine and just-so. That pressure can sometimes prevent our hospitality. Moroccans feel the same pressure, but after a quick spruce up, even the poorest of the poor would be as proud as punch to usher you through their door. We honour them by our presence as guests in their home, no matter how lowly it is, and they go to great lengths to provide sustenance. There’s definitely something of Christ in this welcome, and we see it in Muslim communities in the UK, whether Moroccan or not. We know too that the invitation from Christ and to come to know Father God is beyond all else. We may be British and struggle with this one, but how can we be a little be more hospitable and welcoming that Muslims we meet might encounter something of Jesus through us? Father God, thank you that I am part of your family and for the loving embrace that I received through Jesus Christ. Today I pray that Muslim men, women and children in the UK might have the opportunity to experience something of that. Use me to be a channel of your love. Help me to break out of my Britishness and embrace Muslims around me. During Ramadan, it is common practice for Muslims to share food with neighbours after the fast finishes in the evening. Try to find a shop locally that sells Asian sweets. Buy some and take them as a gift to your neighbour. Make sure you go around 9:30 or 10:00pm - it’s not too late or rude, as they will eat after dark and be very awake! Offer them as a blessing and that as a Christian you are praying for them in their fasting. Abraham is Eritrean; a friend of mine and I see him almost every day. We give each other a big hug in the morning and sometimes at the end of the day - very un-British, but very Eritrean. I love it - warm, welcoming friendly - what’s sometimes known as ‘hot climate culture’ - and it took me a little while to cotton on! I saw him the other day at a Christian festival, sporting shiny aviator sunglasses and advocating for a new charity, helping the church to welcome refugees. He was happy and smiling. He has found Jesus and a fresh purpose in life - imagine if all the Muslims on your street or in your area had the same encounter. Let’s be a bit hotter with our faith and warmer with our welcome - start with a Muslim you encounter; today! Father God, thank you for the world that is coming to our doorstep. Help us to be warmer in our welcome and embrace of those we do not know. Stir in us more of your love for Muslims around us that we can better demonstrate your love for those from Islam who do not yet know you. I once worked with a young Muslim lady who remarked that I was different because I genuinely asked how she was and looked out for her. This one is a longer-burning action. Be intentional in really getting to know a Muslim near you, whether a shopkeeper or colleague. Make a conscious effort to ask consistently about his or her health, family, hopes, dreams etc. When you’ve done that, find out more about Welcome Churches which is helping churches welcome refugees in the UK. remarked a young bearded man of Pakistani heritage. He was at a gathering of the mureeds (disciples) of a Sufi Sheikh. In a borrowed hall, they gathered to sing their way through an Arabic litany. They sang stirring hymns, listened to a short exhortation from one of their members and enjoyed a meal together. For tourists abroad, Sufism is associated with the gilded tombs of mystics long dead, but Sufism is alive and well and thriving in the UK. Sufi Muslims believe that knowing God is possible and that access to grace and blessing is given through sheikhs who guide those who believe in them. All that they seek, God has given in Christ but they do not know it. Thank God for all we have in Christ and ask him for opportunities to share it with the spiritually hungry. Think how you would describe all that ‘the man Christ Jesus’ has done and is doing for you and ask God for an opportunity to share it. An African man in London rested on his bed after completing his Muslim prayers. As he did so a very bright light came into the room. Within the light he saw the figure of a man who said ‘Islam is not your religion; this is’ showing him a Bible. He is now a follower of Jesus and a passionate evangelist wherever he goes. In recent decades there has been a marked increase in the numbers of people attending Pentecostal Churches in London, mainly explained by the growth of African Churches. Many West African Pentecostals regard the UK as a potential mission field, bringing the gospel back to those who originally provided it. Simultaneously, about 10% of the UK's Muslim population are of African heritage and a growing number of young black people are converting to Islam. Will you join our African brothers and sisters to pray for continued conversion growth in their churches? Pray for sustained growth in terms of conversion numbers and quality of fellowship within the black led Churches in the UK and that they might bring many muslims to Jesus too. Read 'Black Muslims in Britain: Why Are a Growing Number of Young Black People converting to Islam?' by Richard S. Reddie. My car was in an unusually filthy state, even for me. I took it down to the manual car washing service round the corner where I was welcomed by a man with an accent and a big smile. He scrubbed the car as if it was a joy. I asked his name. Ali. Every time I walked that way I stop to greet him. He seems so pleased that someone should just stop and talk to him. Who takes any notice of a car washer? He is from Iraqi Kurdistan. He has worked in various places over the last few years. He is one of the new population of transients that move amongst us, not in a caravan like traditional gypsies but never truly at home either. He too is a neighbour. Open our eyes to notice the people near our homes but far from theirs. Pray blessing for every person you see or think of. Once we were prayer-walking in Ramadan. As approached a side-door a car drew up. A man got out. We greeted him and asked if anything was going on. “Come and see,” he said. He led us upstairs where we found a group of men were chanting, seeking closeness to God. We prayed silently for them. We were expected elsewhere so after a while we left but not without being invited to comeback and eat with them. Long story short, we learnt that one of them had a brother dying of cancer. We asked if we could pray for him in the name of Jesus. “Of course” he replied. So we prayed for him in the mosque in the name of Jesus. Men build walls: Jesus passes through them. Here am I. Send me. Discover your local mosque and look out for invitations. How do you feel when you come across a building that was clearly once used as a church now a being used as a mosque? You see a big sign with strange words like masjid, markaz, ghausia, jalal and so on. Maybe text in a foreign alphabet. Perhaps a sign proclaiming “Islamic Mission”. If we have any love for the Gospel of Jesus, we must feel something when we see buildings which are the result of the sacrificial faith of folk like us now set apart for Islamic teaching and worship. In the 30 Days booklet we read of the Bajun whose life is centred around the mosque and who may regard Christians as enemies. Do we feel threatened when mosques become churches? Are we disturbed? Is Jesus Christ any less Lord? Is anyone beyond His reach? When the lost reach out for God, can He not meet them where they are? Lord, deliver us from fear, and resentment. Lead us in love and faith. Glorify your name. Pray that the Lord will meet those who camp in the mosques for the last ten days of Ramadan. The 30 Days booklet speaks today of the Muslims of Nepal who make up just 7% of the population, a minority by any measure. Among them some now follow Jesus in the teeth of strong opposition. Here in the UK, Muslims probably make up less than 7% but their presence is perhaps more prominent than that number suggests. And here too people born as Muslims are now following Christ. The UK the legal system provides for much more freedom of religion. Some believers have even developed public ministries. Many others feel the need to keep a low profile. Still others face rejection and even violence from their community. We have a particular responsibility to pray for these BMBs (Believers of Muslim Background), to welcome them and to support them wherever we might come across them. Pray that those BMBs living in the UK will know grow in faith love and hope and be a powerful witness to their people and others too. Twice each month a group of Christians and Muslims in our town meet at a local Shia mosque to study passages from the Bible and Qur’an. Our purpose is not to engage in debate over which book contains the truth, or even to try and convert each other to a different religion, but simply to ask God what he would reveal to us through the Scriptures (believing of course that the Bible has much to say to each one of us). One of the themes that most deeply resonates with them is the betrayal and suffering of Jesus, which reminds them of their own founding narrative of the betrayal of Ali and Hussein, and their own suffering as Shias, which they commemorate each year during the month of Muhurram. They often talk too of the return of Jesus, alongside the Mahdi. May God truly open Shia eyes to the real import of Jesus' death, resurrection and return. Consider offering to study the Scriptures with local Muslims at a mosque in your neighbourhood. and the second year what springs from that. As well as UK, Mahabba has been growing in Europe: France, Belgium, Norway & Austria already going; then working closely with Germany, Switzerland & Sweden; more recently interested established in Denmark & Belgium. If God is with us, this will spread, so I am in waiting and praying mode until we get clear guidance on the future. Just as an encouragement from a monastery in Germany: they are working in about 15 cities, mainly with Syrian & Iraqi refugees. They just started the next discipleship training with about 70 MBBs. What they are doing is unique in Germany, and last year they gathered over 1000 people to pray for 3 days. They are sending Arabic speaking missionaries across Germany, and many German churches and Ministries are asking for support with their know-how and man-power. They have already reached out to more than 20 camps, and 75 churches with Muslim groups…. hundreds of Muslims have become followers and are attending the discipleship schools. New house cells have also been established. Also churches with just MBBs have been established. The head of the Refugee movement in German has asked me to send him material, and he will be encouraging Mahabba prayer. Pray for the Mahabba Network as the message of ‘loving all Muslims’ spreads - with groups springing up themselves and connecting to other groups and ministries (like Al Massira). The desire is that more and more will discover and seek to follow Jesus. I met a Libyan in London at Speakers Corner, he was on a ladder telling the world about how great Islam was. He was older than me and I knew nothing about Islam but he said the Bible had been corrupted or some other polemic against Christianity and I tried to correct him. This started a relationship that lasted over 10 years as I bumped into him at Speakers Corner and on the Edgeware Road where he came for coffee and in the local park where I was running. We learnt to respect one another. As time went on we would talk about mosque/church life, he lamented that there was nothing worse than a convert, young British converts were trying to teach him about Islam! He was a political refugee, a Muslim evangelist, but also a man with concerns for his children and mother, and concerns for his community. We have prayed for him for many years, and although I have not seen him recently, I know that the Lord sees him. Please pray for mosque leaders and evangelists that they will have Christian friends that they can respect and who will befriend them. Identify by name who is your local Mosque leader(s) and pray for them by name. This is the true story of our Lord Jesus, the source of peace recently discovered by Muslim people in our community. In the last recent week, there has been a very, very intense spiritual battle in my Islamic community where I live. A blind Muslim woman made tawassul [seeking to draw close to God] to ask Nabi Isa [the prophet Isa = Jesus Christ], son of Mary, to give her vision back. We called the name of Jesus again and again. To our great surprise, Jesus answered our tawassul and she was able to see again with her right eye. She and her whole Muslim community are now very thankful to Nabi Isa, ibn Miriam [son of Mary]. They glorify Nabi Isa excessively. They attribute the healing to Isa. My house and their house is full of people who are curious to know what happened. We explain the power of Nabi Isa. We disciple them to be the disciple of Isa. Physically we have been very tired in discipling people to be the disciple of Nabi Isa, son of Mary. Pray for Muslims who have encountered Jesus, for secret believers, Messianic Muslims, Believers from a Muslim Background (BMBs), whatever they are called, and pray that this will happen more in the UK so that more and more people will ‘glorify Isa excessively’. Watch this video of an interview with David Garrison author of ‘Wind in the house of Islam’, or read the book - it’s worth it! Over the last few years some leaders of unity movements around the world have been connecting together. They have been sharing what God has been doing, learning from each other and being inspired for further collaborations. One network ‘Together for Berlin’ hosted an opportunity for leaders from different countries to come together. I was encouraged to listen to the stories of the 8 city network leaders from the UK who shared many encouraging experiences of what God is doing there. We were able to pray for one another and for our cities that God's Kingdom would come. Already more than 54% of the world’s population lives in cities and it’ll continue to rise. 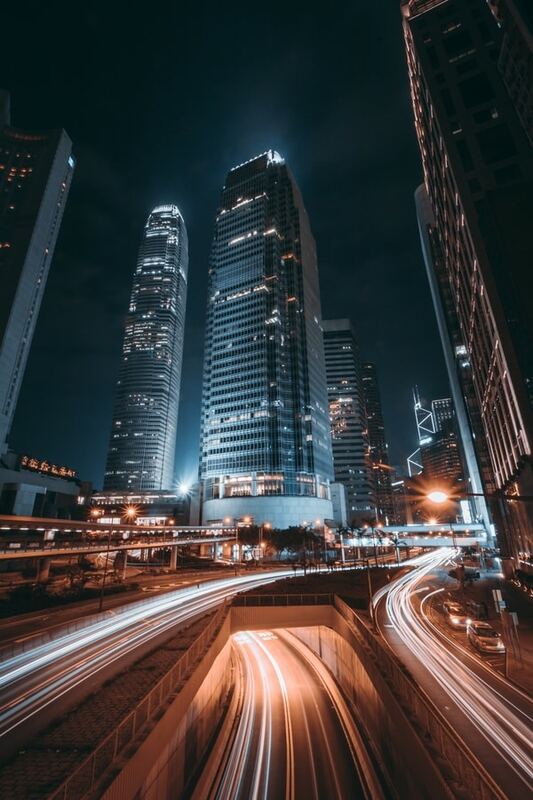 City reaching is a strategic way of reaching the nations at our door steps as more and more immigrants – many from unreached people groups and religions- are moving into our neighbourhoods - yet the church is still not aware of the immense opportunities this presents. We have people from more than 100 different nations living in all major cities in Europe already. It’ll bring many challenges to all of us but it’ll also be a strategic way of building God’s Kingdom. I believe that God is orchestrating these global moves for his purposes. Pray for real unity among movements in Europe serving refugees in various cities, that refugees will be attracted by the love they see in Christians who are serving them. Try using the Resource ‘Praying as small group’ or ‘Want to pray for M World in Small group’ (2/2). Bishop Kenneth Cragg led the way for many on how to approach Muslims and share faith with them. He was respectful, relational and invitational. He wrote classics like ‘Sandals at the Mosque’ and the ‘Call of the Minaret’. When you hear the azhan recited by a muezzin what do you hear? Cragg suggest that the call of the minaret is a call to prayer for Muslims, but also a call for Christians as well - a call to retrieval - to present the Christ that Muslims have missed. The call of the minaret must always seem to the Christian a call to retrieval. He yearns to undo the alienation and to make amends for the past by as full a restitution as he can achieve of the Christ to Whom Islam is a stranger. The objective is not as the Crusaders believed the repossession of what Christendom had lost, but the restoration to Muslims of the Christ Who they have missed. All that the minaret both says and fails to say is included in this call to retrieval as the listening Christian hears it. At a meeting where a Turkish woman was talking about namaaz, someone asked whether it’s unfair to exclude women from prayer at the mosque. Other Muslim women attending the meeting responded with smiles that they enjoy the opportunity to have time to themselves with a break from family obligations. They also appreciate collective namaaz prayers as a time for friends to catch up with each other. For them the bigger problem was to stay focused on God while they recite their prayers. They were much more worried by the fact that their minds tend to wander to mundane matters while they are at prayer, and that even prayer beads (tasbih) don’t always help. What does that look like in your walk with God? Father, may I yearn to be in your presence. Set a timer to remind you to pray 5 times today. In many other parts of Sumatra, and all over Indonesia, thousands of Muslims are turning to Jesus and following him. Churches of new believers are planting churches which are planting churches… movements to Jesus are multiplying! For the first time, someone told me about Isa. I had only to compare Isa with what I formerly believed. Movements to Jesus are happening in numbers never seen before….. Not limited to a remote corner of the Muslim world, these new communities of believers are widespread, from West Africa’s Sahel to the teeming islands of Indonesia — and everywhere in between. Why not among the Riau Melayu – and why not here in the UK? Let’s pray some big, God-sized prayers today - that movements to Jesus would continue to grow and that we would see the same birthed here among the Asian communities of the UK.